61-year old Malhotra's name, cleared by the government, was one of the two recommended by the collegium to be elevated to the apex court bench. Senior advocate Indu Malhotra would be administered oath of office by Chief Justice Dipak Misra on Friday morning at the Supreme Court, making her the first woman lawyer to enter the top judiciary directly. The list of the business of the apex court mentions that Malhotra will be sworn in on Friday. 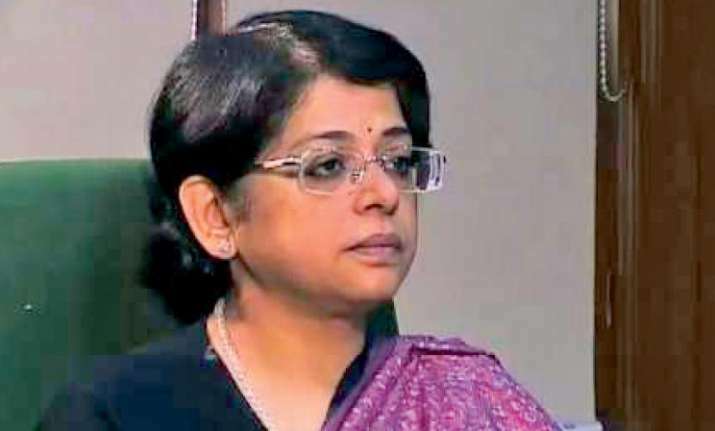 Earlier in the day, a Law Ministry communique said: "In exercise of the powers conferred by clause (2) of article 124 of the Constitution of India, the President is pleased to appoint Ms Indu Malhotra, to be judge of the Supreme Court of India with effect from the date she assumes charge of her office." Her name was approved by the SC collegium on January 10, with a resolution of the apex court saying, "In our considered opinion, at present, Indu Malhotra, Senior Advocate, is eminently suitable for being appointed as a Judge in the Supreme Court." While Malhotra's name was recommended by the collegium for elevation along with that of Uttarakhand High Court Chief Justice K M Joseph, the Centre has sought reconsideration of the proposal for the latter. Malhotra would be the seventh women judge in the top court since Independence as only six women judges have made it to the Supreme Court so far. Other women judges were elevated to the apex court from high courts. Currently, Justice R Banumathi is the lone woman judge in the apex court. Malhotra joined the legal profession in 1983 and was enrolled with the Bar Council of Delhi. She qualified as an Advocate-on-Record in the Supreme Court in 1988 and has been dealing with several matters of constitutional importance. She was one of the prominent senior advocates regularly appearing in educational matters pertaining to medical and engineering colleges. Malhotra was one of the members of the Vishaka Committee on sexual harassment at workplaces, as also of a 10-member committee constituted by the top court to deal with complaints of sexual harassment within the court. She was appointed as the standing counsel for Haryana in the apex court from 1991 to 1996. Malhotra has represented various statutory corporations like Securities Exchange Board of India, Delhi Development Authority, Council for Scientific and Industrial Research and Indian Council for Agricultural Research, before the Supreme Court. She was designated senior advocate by the top court in 2007 and became the second woman to be designated as such by the apex court after a gap of over 30 years. Malhotra was born in Bangalore and after her schooling from Carmel Convent School in New Delhi, she did her B.A. (Hons.) in Political Science from Lady Shri Ram College. She obtained her law degree from the Faculty of Law in Delhi University. The first woman judge of the apex court was Justice Fathima Beevi who was appointed in 1989, 39 years after the Supreme Court was set up in 1950. Justice Beevi was elevated to the apex court after her retirement as judge of the Kerala High Court. After serving the top court till April 29, 1992, she was appointed the governor of Tamil Nadu. The second woman judge in the Supreme Court was Justice Sujata V Manohar, who started her career as a judge from the Bombay High Court and rose to become the chief justice of Kerala High Court. She was elevated to the apex court where she remained from November 8, 1994 till August 27, 1999. Justice Ruma Pal followed Jusitce Manohar after a gap of almost five months and became the longest-serving woman judge from January 28, 2000 to June 2, 2006. After her retirement, it took four years to appoint the next woman judge. Justice Gyan Sudha Misra was elevated to the Supreme Court from the Jharkhand High Court where she was the chief justice. Her tenure in the apex court was from April 30, 2010 to April 27, 2014. During her stint, she was joined by Justice Ranjana Prakash Desai, who served the apex court between September 13, 2011 to October 29, 2014. These two judges also created a history by holding court together as an all-women bench for a day in 2013. Justice Banumathi, who at present is the only sitting woman judge, had joined on August 13, 2014 and would retire on July 19, 2020. In the 67-year history of the Supreme Court, there have been only two occasions when it has had two sitting women judges together, the first being justices Misra and Desai and later justices Desai and Banumathi.